Mama J’s is Serving Up Change! Mama J’s is proud to support our community through Serving Up Change, a fundraising and donation management platform that connects organizations with restaurants that care. As a community group or non-profit, you can make your donation requests and set up fundraisers with us through this platform. 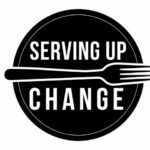 If your organization does not have a Serving Up Change account, you can setup a FREE account at http://www.servingupchange.com/. Request a virtual fundraiser by clicking on “Request Fundraiser” from the Mama J’s Serving Up Change profile page. This step allows you to set your fundraising goal, set the length of the campaign (30 days max), create your campaign page, and submit the request. Within (30) days after the campaign, the organization receives a fundraiser check in the mail. If your organization is seeking donations in the form of a Gift Card, Sponsorship, Monetary Contribution, or In-kind food, you can submit your request through our Serving Up Change profile page. Please note that Mama J’s will consider donations of in-kind food, gift cards, and sponsorships but we require a minimum of 30 days in advance for consideration. CLICK HERE to visit our profile page to view the types of causes we support and any donation and fundraising restrictions.